Australian scientists Wednesday said they had devised an "innovative method of conservation" through feeding giant monitor lizards small cane toads so they won't be killed by larger-sized amphibians. Cane toads, an invasive species from Central and South America that were introduced to Australia in 1935, are so toxic they can kill predators that try to eat them and are continuing to spread across northern Australia at an estimated 40-60 kilometres (25-37 miles) a year. Scientists have said the spread of the cane toads—which an Australian university study found numbered about 200 million on the island continent—was causing catastrophic population declines in predators. 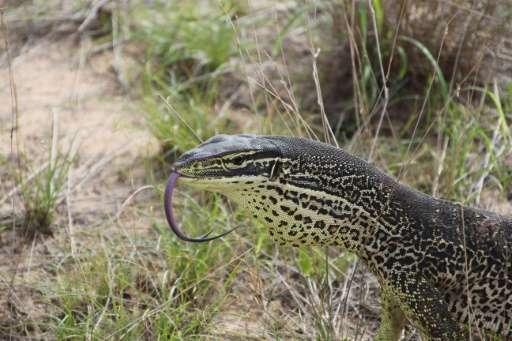 But researchers from the University of Sydney said they were able to teach free-ranging goannas in the Kimberley wilderness in northwestern Australia to avoid eating the toxic toads about to invade the remote floodplain. The scientists offered small, non-lethal cane toads to the wild yellow-spotted monitors—which have experienced a 90 percent plunge in population following toad invasions—with further trials confirming "just one or two toad meals were enough to convince a goanna not to eat another toad". The goannas quickly learnt to avoid the adult cane toads in the wild after being exposed to the younger, smaller toads. 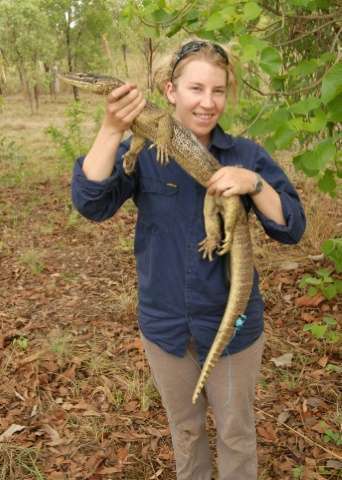 "After training, giant monitor lizards, known as goannas, survived when the toads arrived, whereas untrained lizards were immediately killed," lead researcher Georgia Ward-Fear said of the study, which was published Wednesday in the Biology Letters journal. "Our study provides the proof of principle required to set the framework for an innovative method of conservation," the researchers added in their paper. "Releasing small toads, then, can offer a simple landscape-scale method to conserve wildlife populations, by giving native predators an opportunity to learn rather than die. "Our study provides the first real evidence that this strategy is realistic." What is the best way to kill a cane toad? Why not just kill the toads?